Just as many people have jumped to Bill Cosby’s defense when it comes to allegations of sexual assault and trying to protect his legacy, KRS-One is attempting to do the same for Afrika Bambaataa. Just weeks after several men accused Bambaataa of molesting them when they were young children and teens, KRS-One says that shouldn’t take away from Bambaataa’s hip-hop legacy. 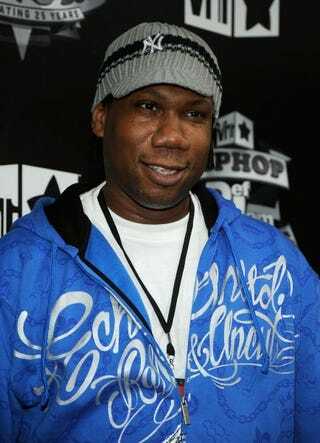 KRS-One appeared on N.O.R.E. and DJ EFN’s Drink Champs podcast and got heated when asked about Bambaataa. It goes beyond personal when it’s actually criminal. But I guess hip-hop is more important than a bunch of men who say they were raped as kids.